Life in Clackmannan Church is often very busy, with services and events taking place most days of the week. Should you wish to attend any of our events or services then you will be made most welcome and we would be very pleased to see you. Details of our regular worship opportunities can be found on the Home Page and information about other events organised by our various groups can be found on their own page. If you are interested in joining in any of the groups then please feel free to join us. Church services take place every Sunday in church at 11.00 am. Usually they follow a familiar pattern, with participation by our Church Choir, and various other members taking turns doing the scripture readings. We use CH4 normally, backed up by Mission Praise. We also have video projection facilities and use PowerPoint presentations quite effectively within occasional services. Most of our services are recorded and published and distribuited by our Pastoral Care Team to members of our church who are less able to attend regular services. On the second Sunday of each month we hold our Afternoon Service: a short Service lasting approximately thirty minutes, which is followed by a light afternoon tea. This Service is suitable for older and less able folks to come along and share in worship and fellowship together. If you know of anyone who would appreciate such an afternoon please bring them along to the Bruce Memorial Hall for 3.00 pm. Communion is celebrated four times a year, on the second Sunday of March, June, September and on the first Sunday in December. 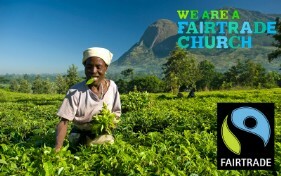 In addition to our 11.00 am service, we also have a 3.00 pm service on that day. The afternoon services are held in the Bruce Memorial Hall. In addition to our stated Communions, we celebrate on Maundy Thursday. Normally our young people are involved in activities for their own age group during Communion Services, as they are on a normal Sunday. 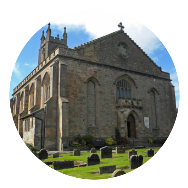 However, under certain circumstances, Clackmannan Church allows young people to take Communion before 'joining' the church. A young person who wants to celebrate Communion must have the permission of their parents, be able to demonstrate an understanding of what communion means, and must have the agreement of the Kirk Session. 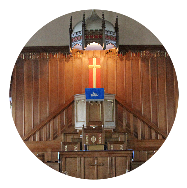 We are a Church of Scotland congregation and believe that God has called His people in Clackmannan Parish Church, under His guidance, to be a congregation committed to sharing Jesus' Word and Love with the community.